This may sound counterintuitive, but medical experts agree that if you have aching knees, then sitting on the sidelines may not be the best answer for you. Getting out and exercising may be the best way to get rid of the pain. 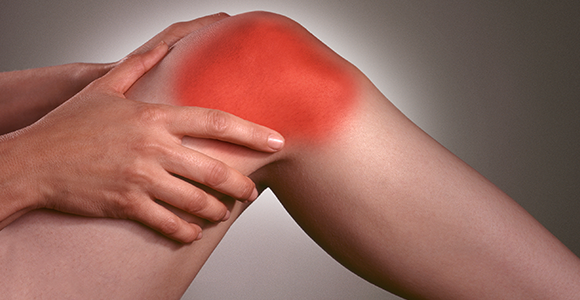 One of the common concerns for those with knee pain is that the muscles around the knee are not as strong as they could be or should be. Sit with your back against a wall and your legs at a 45 to 50-degree angle. Going to a 90 degree angle isn’t recommended because this can put too much pressure on your kneecaps and cause knee pain. When “sitting”, make sure your knees are behind your toes. Sit and hold this position for 1 minute, then rest and repeat. Bend the knees and lower down into a squat position. You should work to maintain a tall spine and proud chest as you lower down. Standing with one hand on a table, chair or wall to stabilize you—take the leg opposite of your stabilizing hand and lift the outside leg off of the floor in front of you. When lifting your leg, bend the knee at about a 45-degree angle. Straighten the leg in front of you and bend back to the starting position. Do 10 repetitions of these then rest and repeat. Lay on your back with your hand by your sides. Lift both legs 6 inches off of the ground, making sure to keep your legs straight. Hold this position for 20 seconds, then rest and repeat. Lay on your back with one leg straight out and the other bent at the knee with the foot pressed flat against the ground. Contract your quadricep on the straight leg and raise approximately 8 inches off of the ground. Hold this position for 20 seconds, then rest and repeat with the other leg.